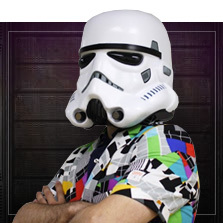 Some costumes just wouldn’t be complete without the right mask. 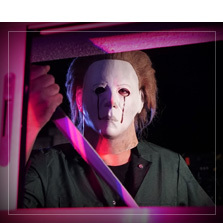 Would Michael Myers be so scary without his terrifying mask? Definitely not! 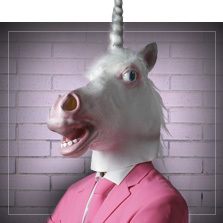 So be sure to stop by our section of unique Carnival and fancy dress masks. 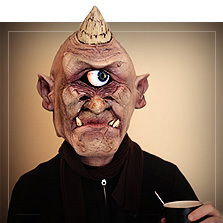 We present to you our collection of original masks, perfect for a creative Carnival ensemble or a gory Halloween costume. Halloween masks are the ideal accessories for any horror costume, as the latex gives these masks that super realistic, terrifying appearance. 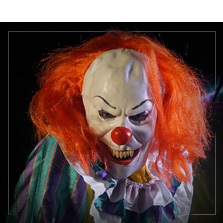 Wear a killer clown mask and spread terror as Pennywise, the It clown. 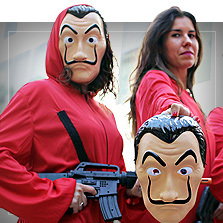 If you love TV series, get some friends together and put on Dali masks and Money Heist costumes for an incredible group Carnival costume. 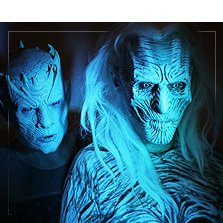 Or, loudly proclaim that "Winter is coming" behind a White Walker mask from Game of Thrones. And if you're looking to dress up in the most genuine style of Il Carnevale di Venezia, our Venetian masks are the ones for you. You’ll feel like a true opera star! 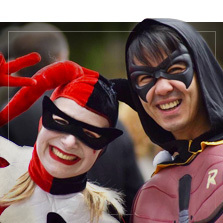 Also find superhero masks, essential for any Batman, Spiderman or Ninja Turtle costume. Animal lovers will have a hard time deciding which animal mask to choose, because we have unicorn, horse, gorilla, rabbit and dog masks…fun and spooky all at once! Besides Carnival masks, Funidelia offers a wide variety of half masks, eye masks and helmets. We also have the newest digital masks featuring interactive animation effects with the help of your smartphone! Choose from more than 1,000 different masks…don’t miss out on yours!